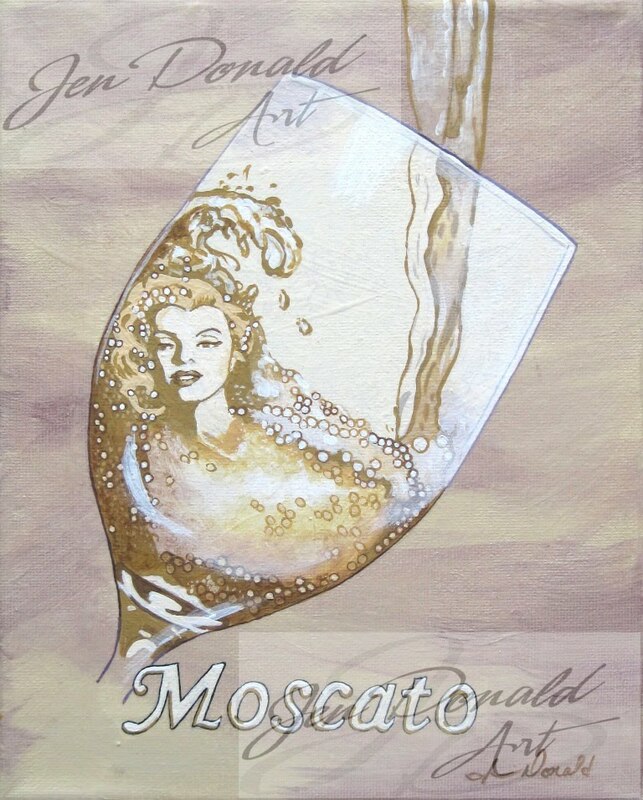 Art gift idea: For the ultimate in surprise gifts, give her "A Day Without Wine - Moscato", a bottle of wine, the movie classic, "Diamonds Are A Girls Best Friend" - and diamond stud earrings. "A Day Without Wine - Moscato"
I attend wine festivals as an artist and wanted to create something specifically for wine enthusiasts. 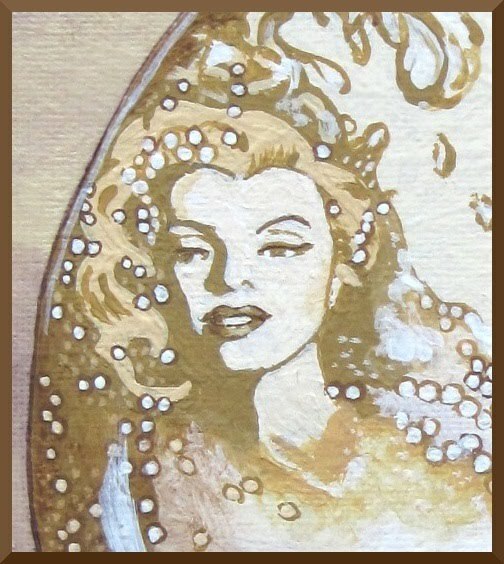 However, I didn't want the "same ol, same ol" wine paintings, like grapes or vineyards or wine bottles. Instead, I wanted to create something truly unique but also stay true to my love of nostalgia.